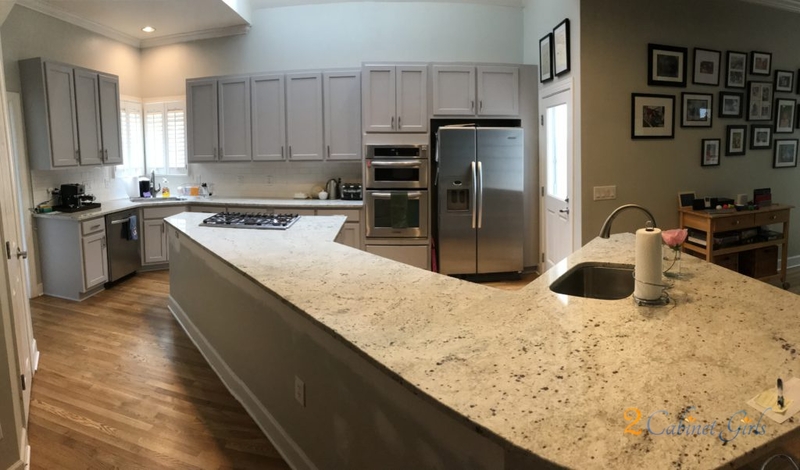 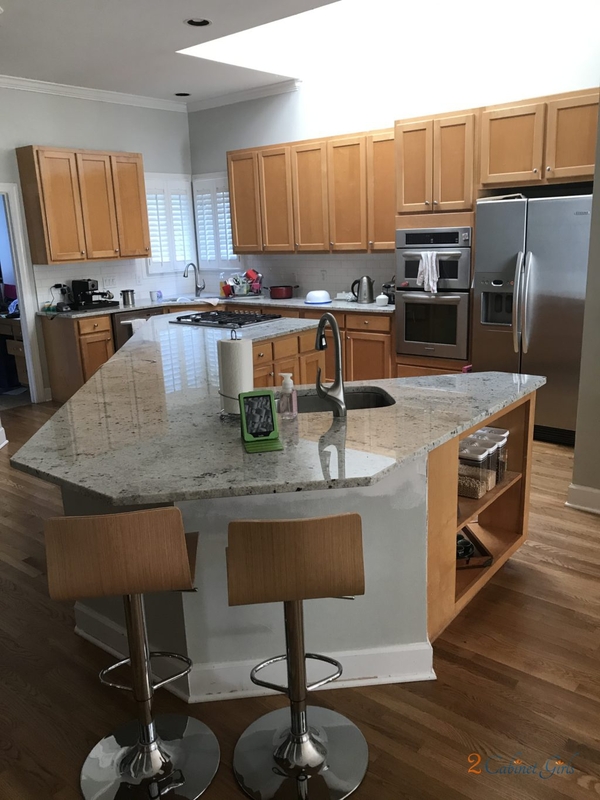 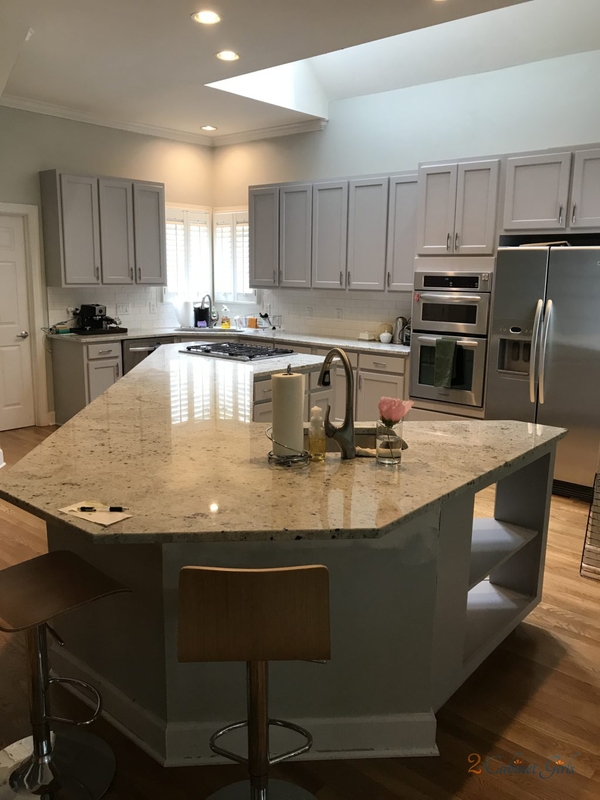 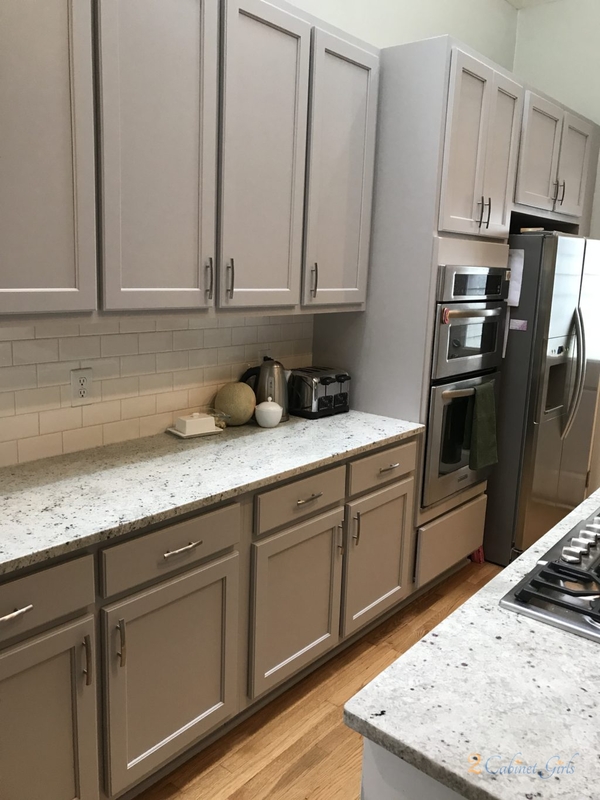 This gorgeous kitchen had recently received a few updates – new granite and subway tile backsplash. 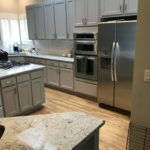 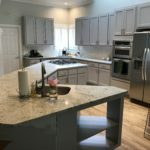 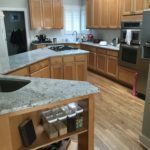 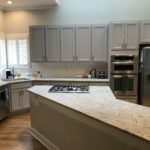 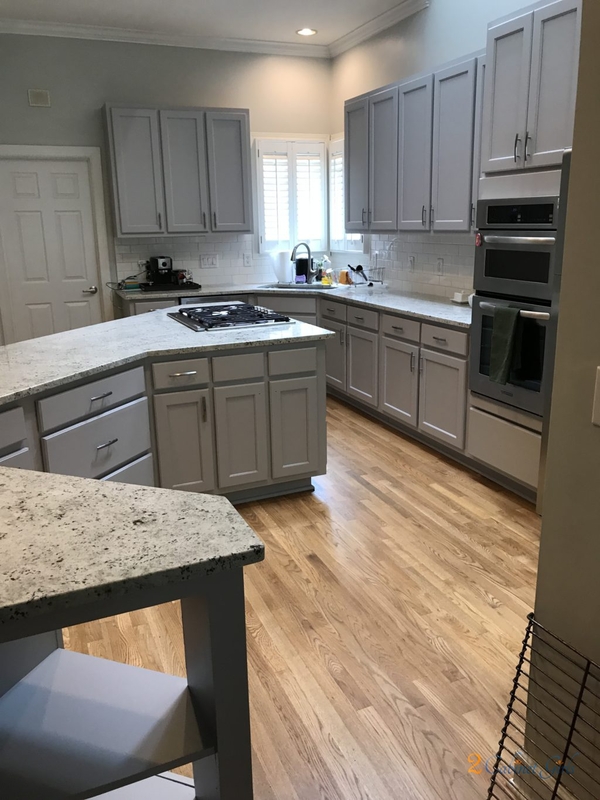 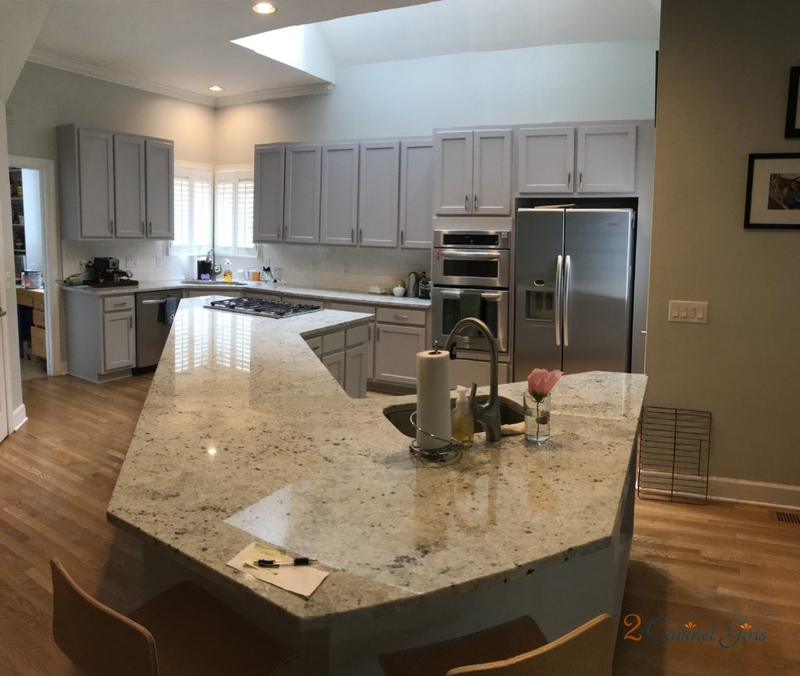 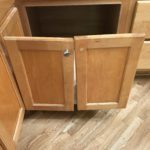 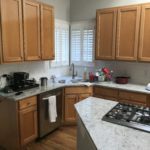 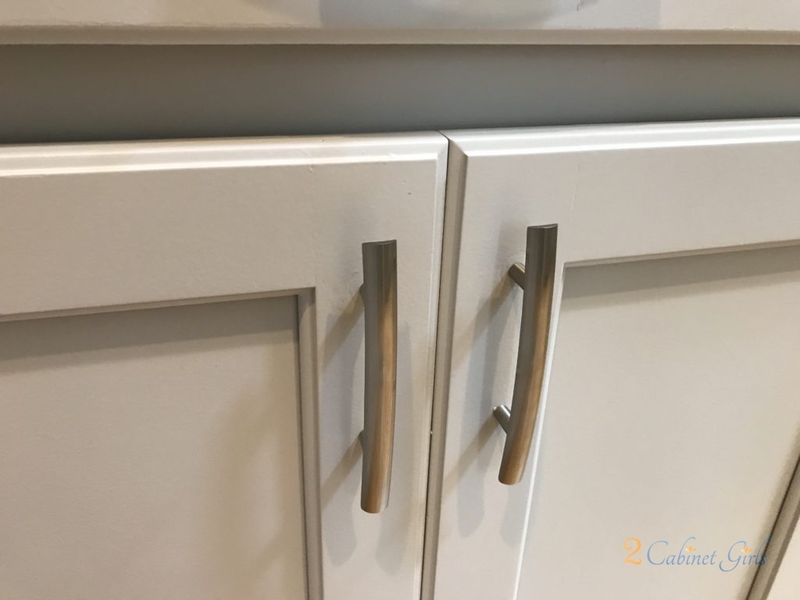 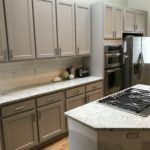 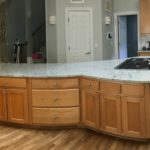 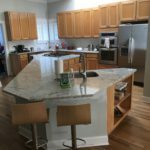 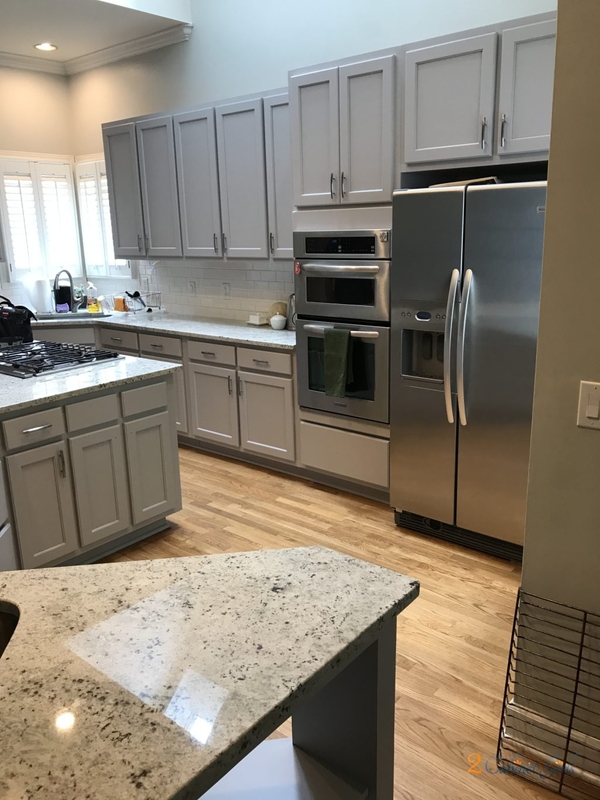 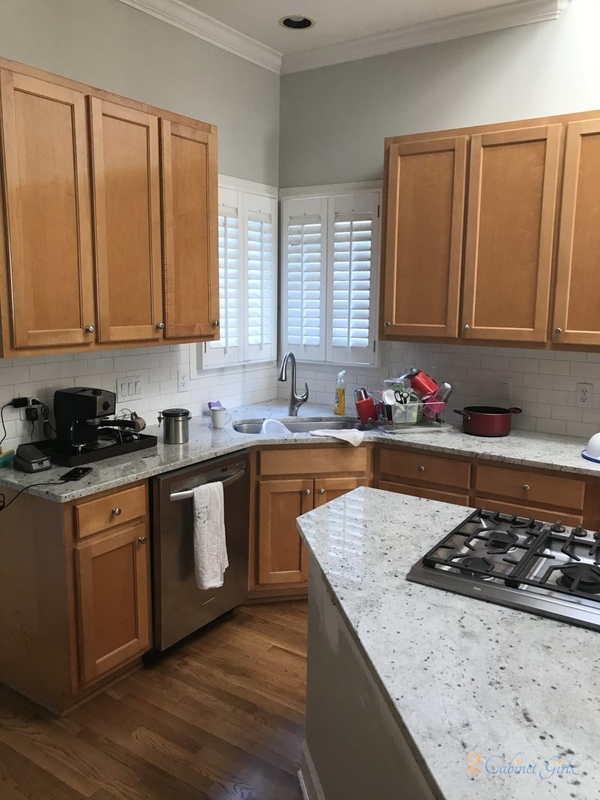 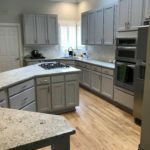 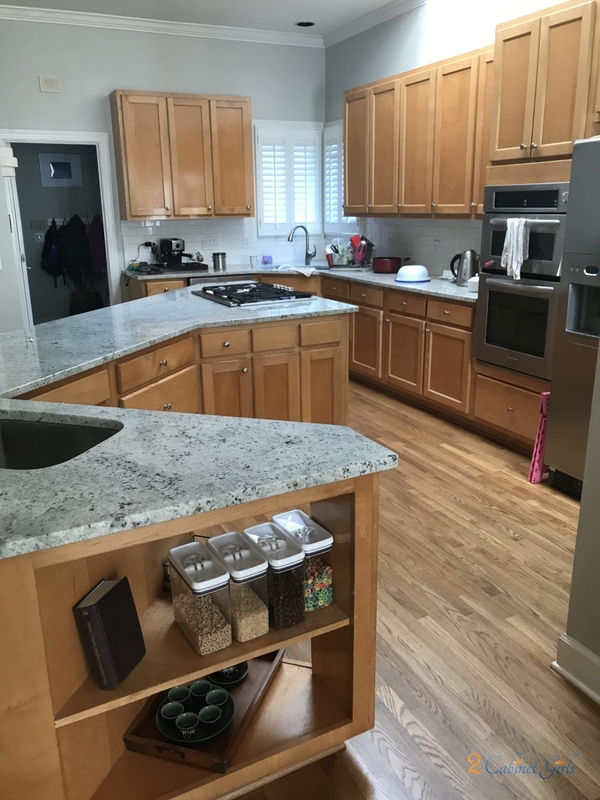 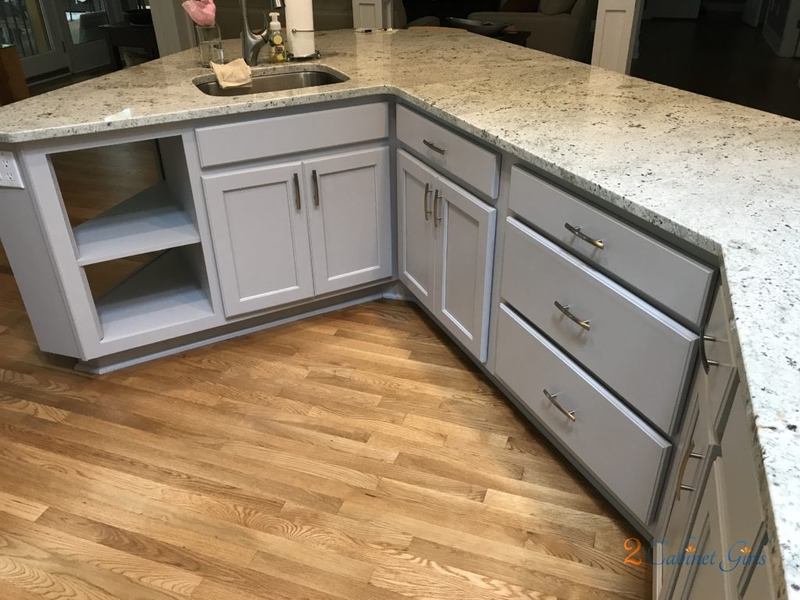 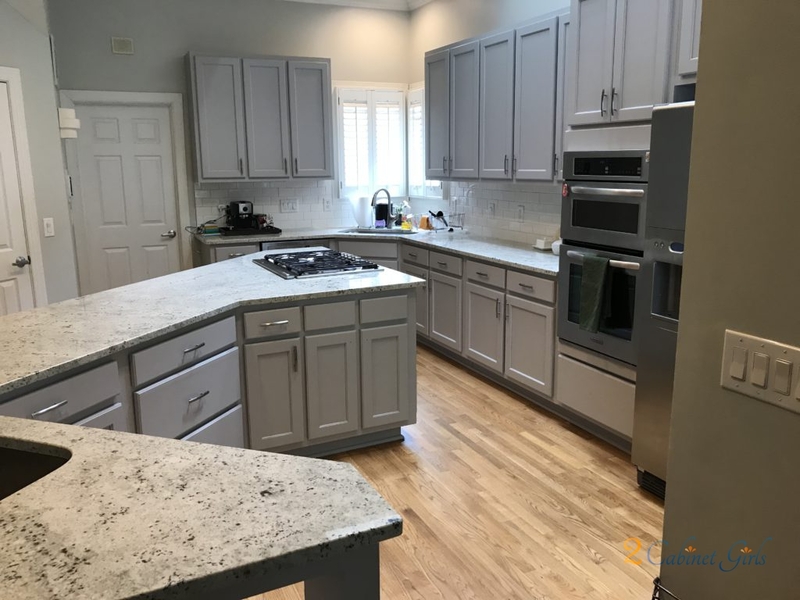 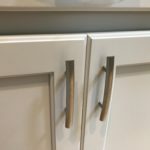 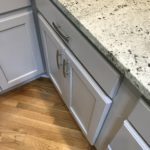 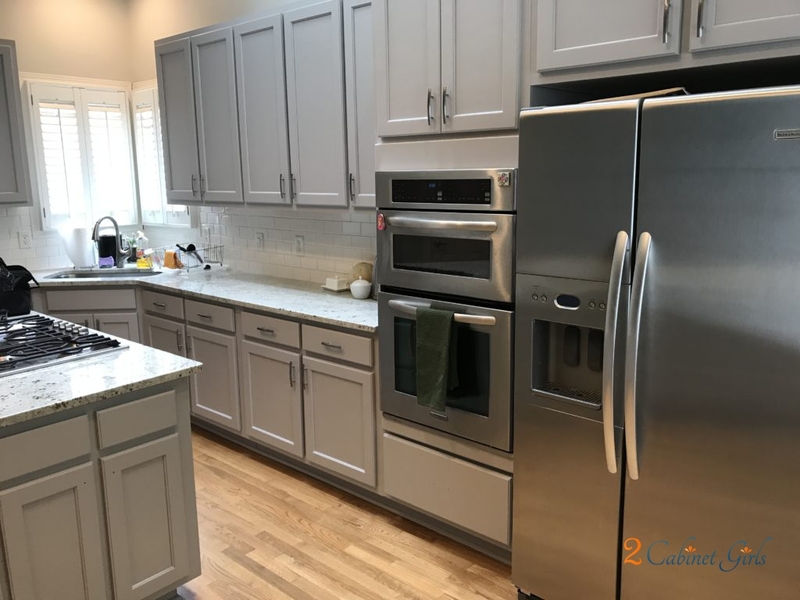 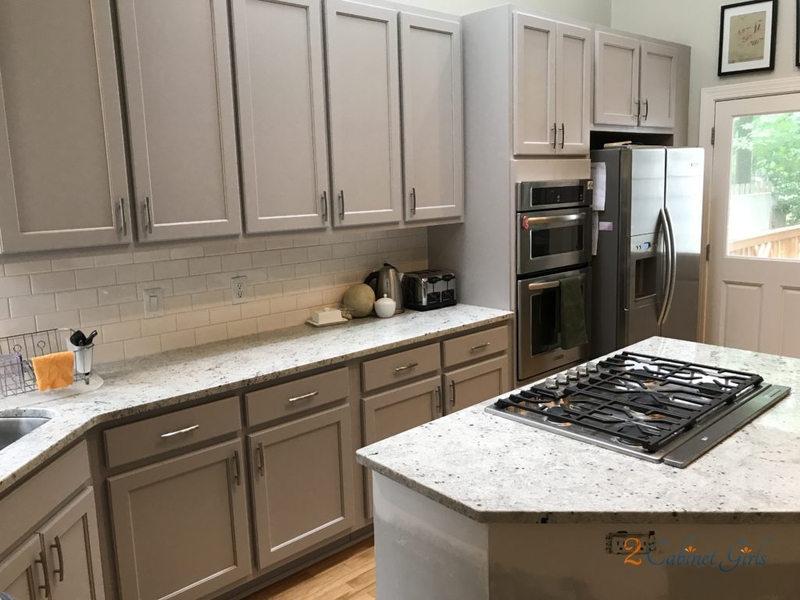 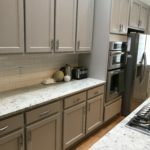 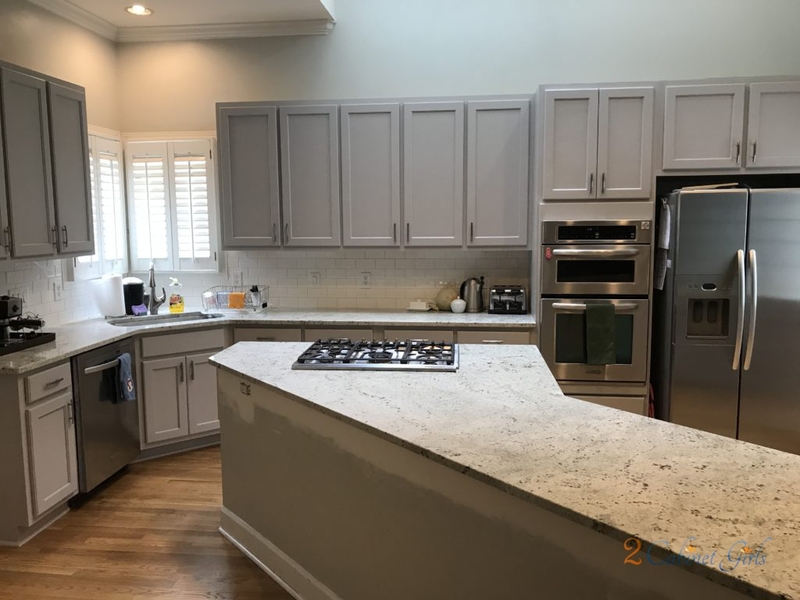 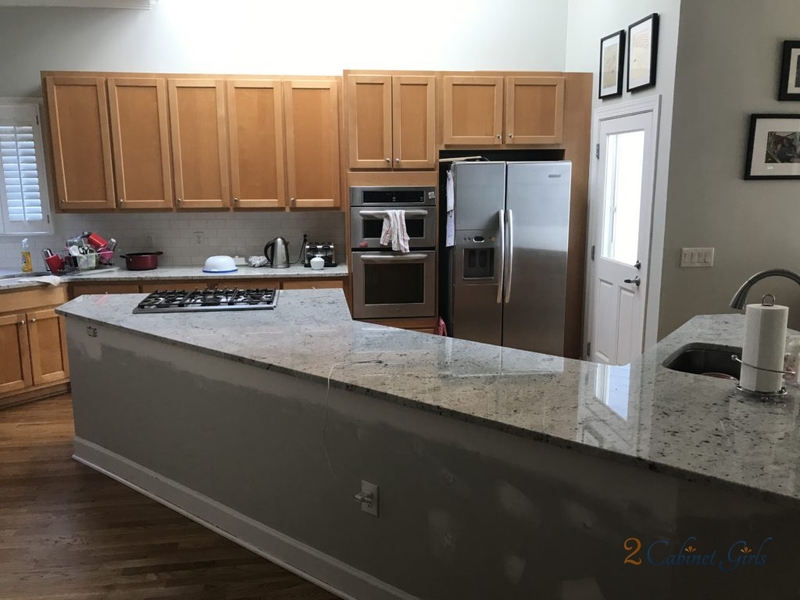 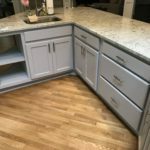 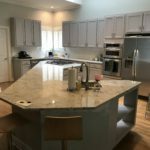 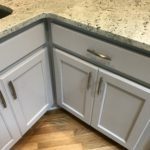 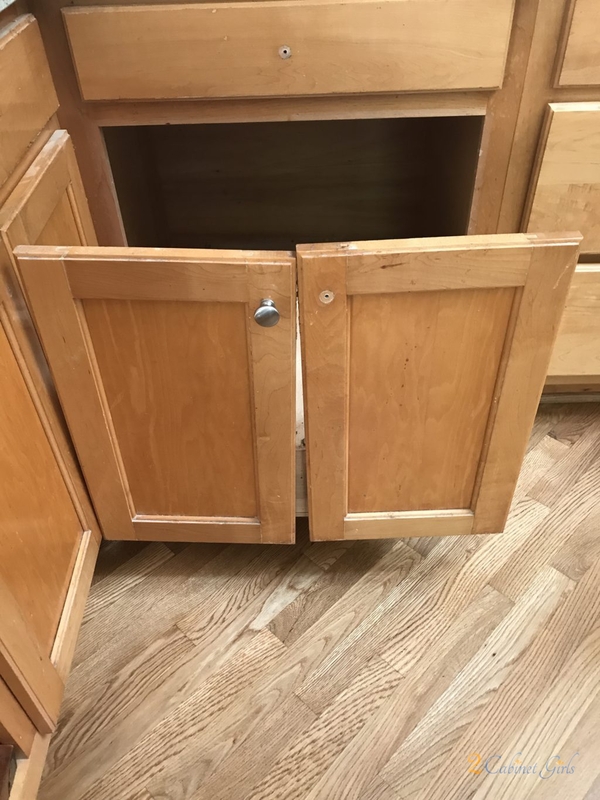 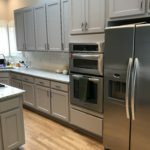 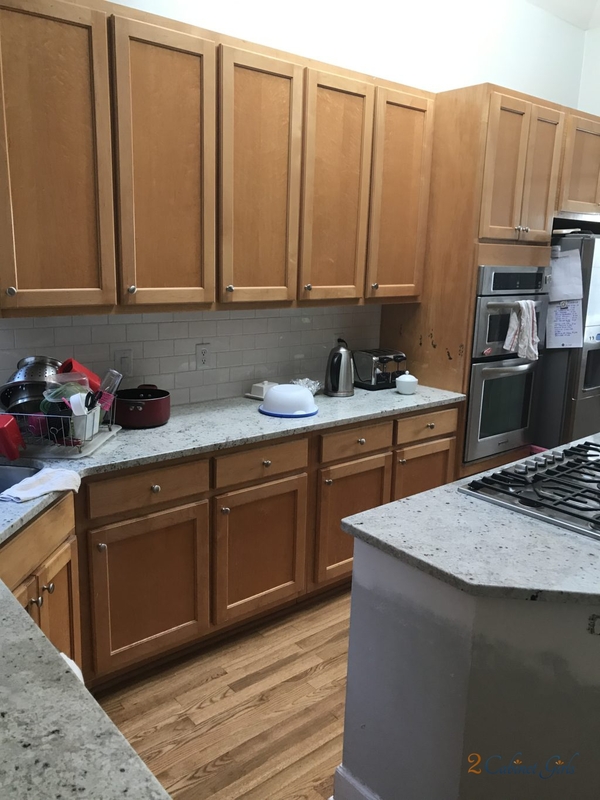 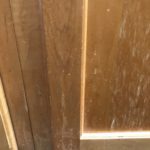 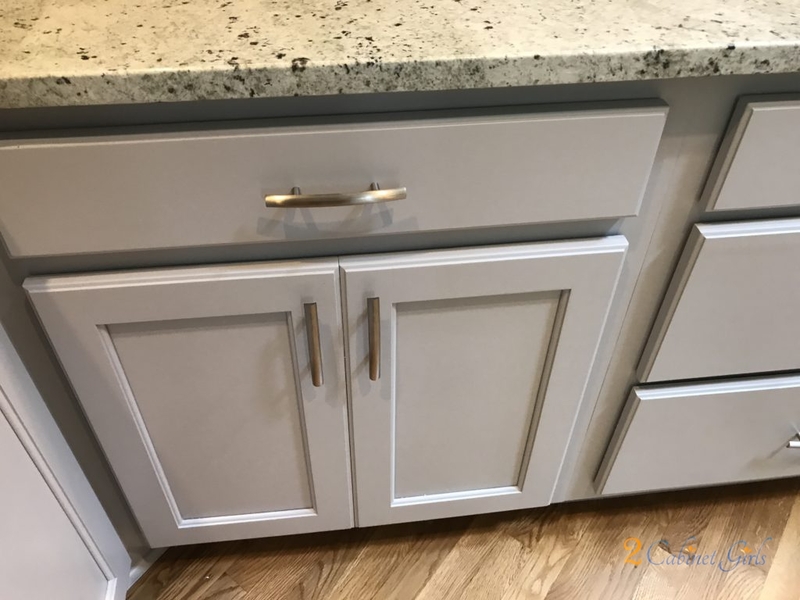 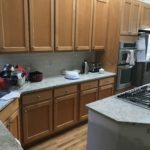 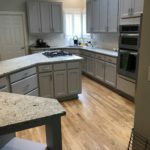 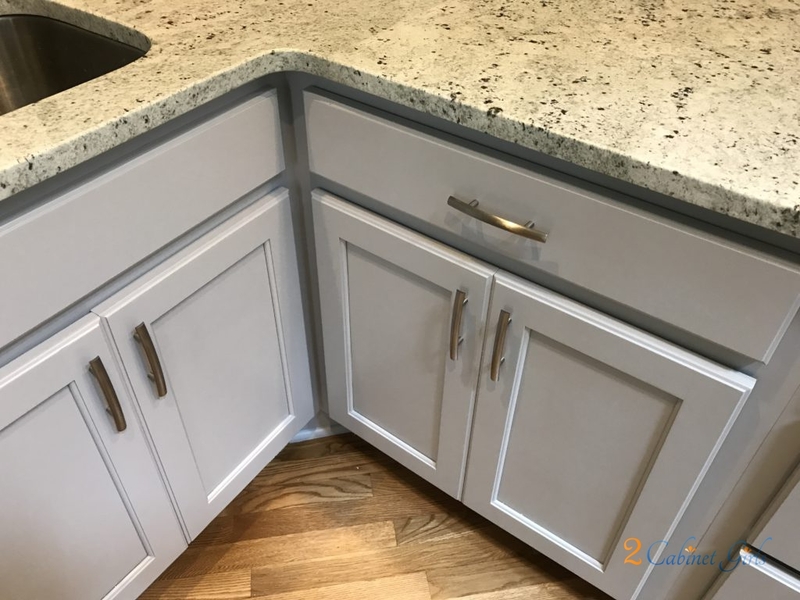 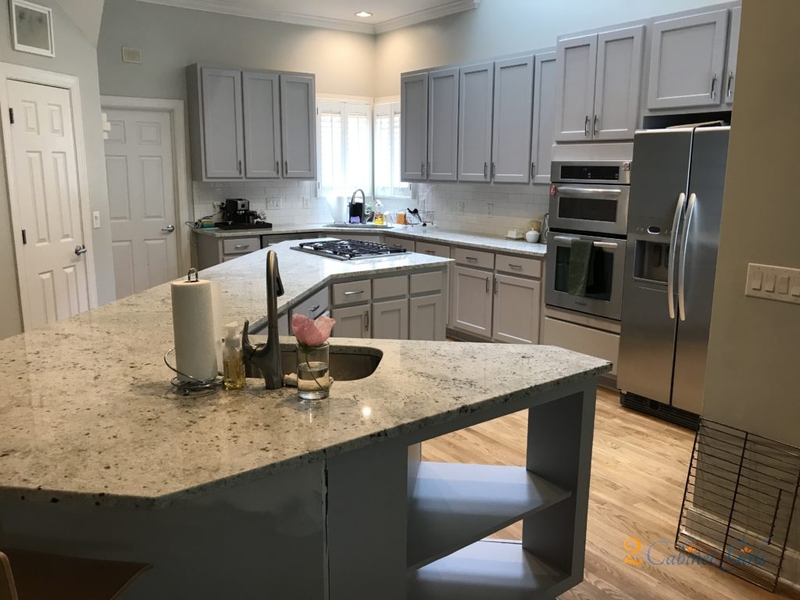 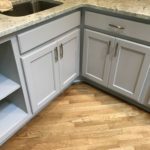 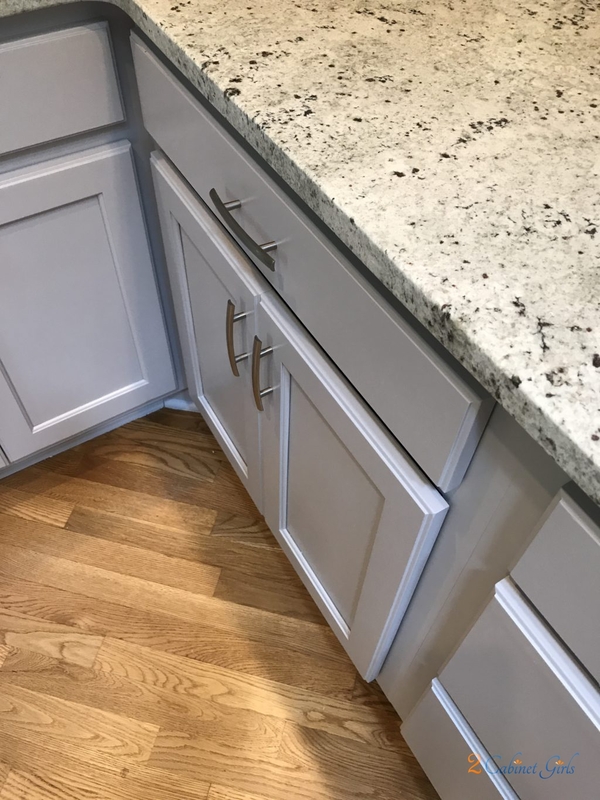 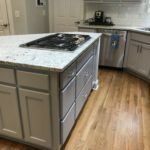 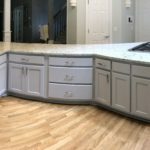 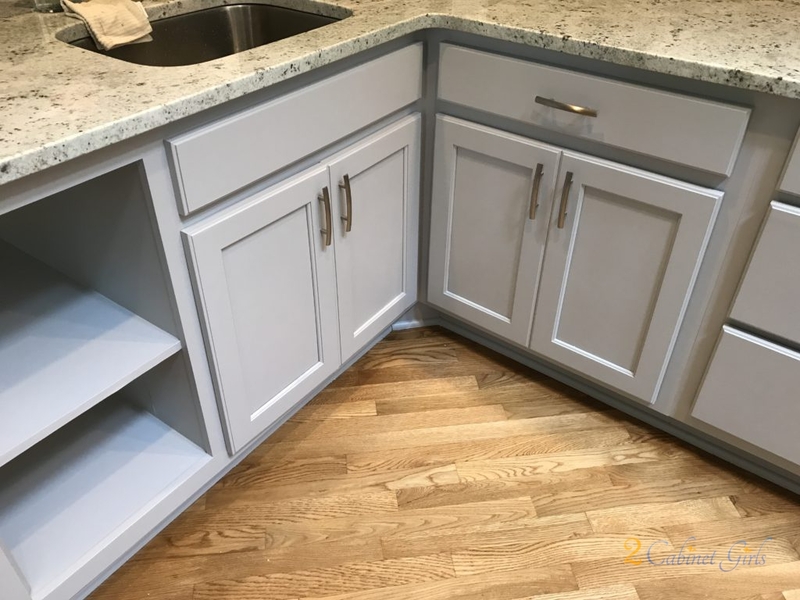 As custom cabinet painters our task was to update the cabinets to match, using a medium gray tone. 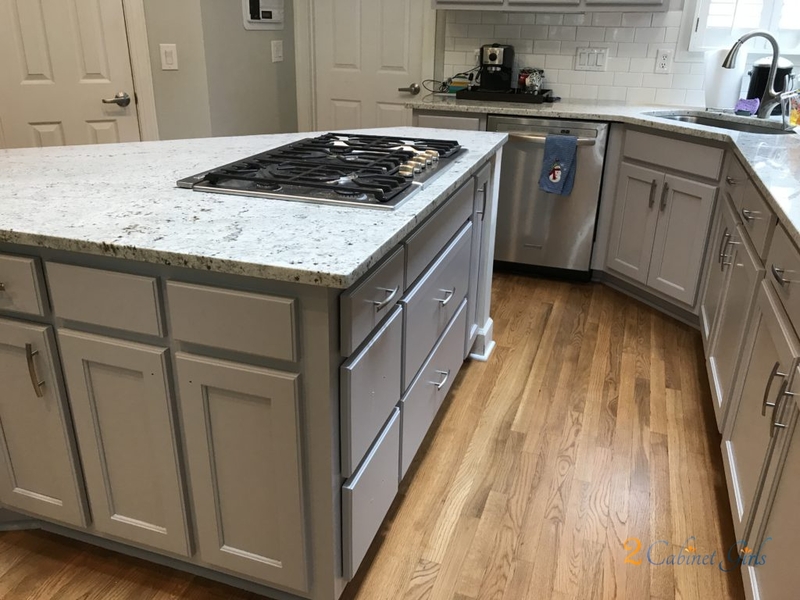 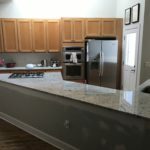 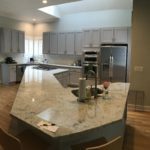 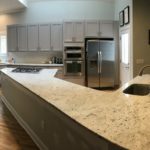 The homeowners chose Essential Shade, a mid-gray with a hint of blue help pull the tones in the granite together. 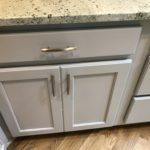 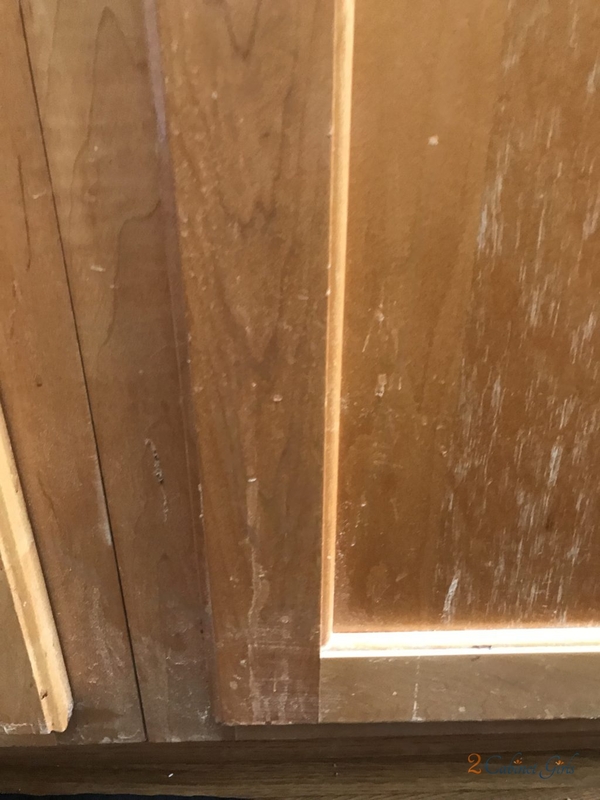 Adding new brushed nickel pulls really gave it that extra wow factor!